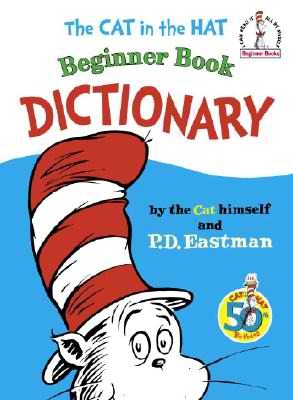 As shown in the picture below, the dictionary showcases various words accompanied by silly pictures of Dr. Suess-looking characters drawn by P.D. Eastman; although none of the characters are actually the Cat in the Hat. 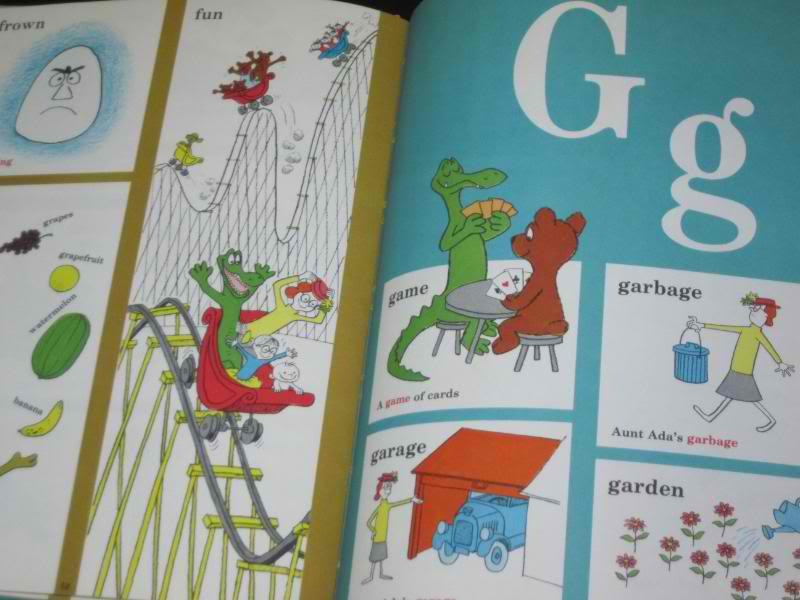 The dictionary features recurring themes and characters; such as Aaron the Alligator and Uncle Uriah, who handle various objects and assume different poses that depict each word. There are also Eskimo boys (one of whom is named Oobooglunk) and a Native American Indian boy with feathers on his head (whom my toddler son constantly and innocently refers to as "the bunny boy") depicted throughout the book; which may be considered unacceptable for parents who teach their children to be politically correct in today's hypocritical society. Since the dictionary was published in 1964, there are many cases in which the words and pictures may confuse our modern-day children; such as "typewriter," "newspaper," and "phonograph" to name a few. I have to explain what each object is to my son, but this process is still fun nonetheless. In addition to the pictures of the cute "bunny boys" throughout the book, one of my favorite words is "zyxuzpf," which is what I refer to as a Dr. Seuss-ism and depicts a nest full of birds, with the description of "A nest full of zyxuzpf birds." 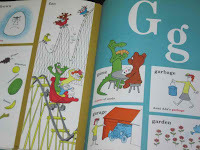 I have tried performing research to determine whether the most recent version of The Cat in the Hat Beginner Book Dictionary still features the Eskimo and Native American Indian boys, as some children's books by Richard Scarry removed these seemingly racial entities from their books, but had no luck. The version of my dictionary was printed in 1992, and I was unable to find any documentation online that stated these characters were removed from the book. In any case, this children's dictionary is a hilarious and incredibly fun tool if you are teaching your child how to read. This was my favorite book as a kid!! !